Kuehnle AgroSystems, Inc. (KAS), a producer of specialized algae strains and bulk concentrated algae designed to meet the diverse needs of the animal nutrition, specialty chemical and biofuels markets, has announced the commissioning of an algae demonstration project at the Chevron Hawaii refinery. 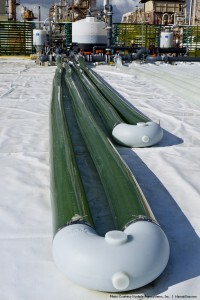 The demonstration project, funded by the Hawaii Renewable Energy Development Venture and the Office of Naval Research, produces algae using recycled CO2 waste streams and wastewater by-product from Chevron’s refinery to cultivate algae in specially designed closed growing systems. Chevron’s role in this project is to serve as a host site and a source of recycled CO2 and wastewater for KAS to conduct its research. The live algae used in this project are sourced in Hawaii. KAS has designed and will operate the demonstration project through August 2012 to cultivate and evaluate different strains of algae at production scale. Partners in this project include Rhode Island-based BioProcess Algae for test cultivation systems; Alabama-based Inventure Chemical for biomass conversion to a high quality intermediate fuel; the University of Hawaii’s Hawaii Natural Energy Institute for water recycling and bioplastics production from waste; and Honolulu-based AMEL Technologies for engineering support. 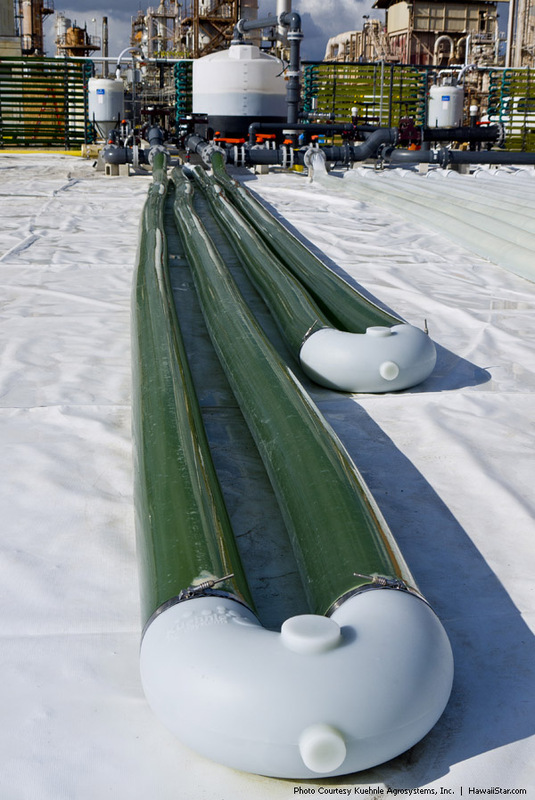 Hawaii’s Chevron refinery is one of only a few places ideally suitable for this particular demonstration project, due to the consistent sunlight associated with west Oahu and an available supply of CO2 waste streams, both ideal for algae cultivation. Chevron has not made any financial commitments to KAS, nor does it endorse the technology at this early stage of the research project. KAS’ goals for this project include transitioning algae as a sustainable resource; linking industrial effluents for scalable algae production; and linking biomass produced from KAS algae species with highly effective conversion processes to produce biofuels. KAS is an emerging, privately-held clean technology company based in Hawaii that specializes in microalgae cultivar development for bulk live microalgae production and distribution. The company identifies algae with the most desired traits for specific production environments, and then produces the algae for industrial applications. KAS has been awarded numerous state and federal government contracts to accelerate the research, development and deployment of algae for renewable energy. In addition, KAS serves as a supplier to other firms engaged in algae research and large-scale production. To learn about the fast-track commercialization of the algae production industry you may want to check out the National Algae Association.